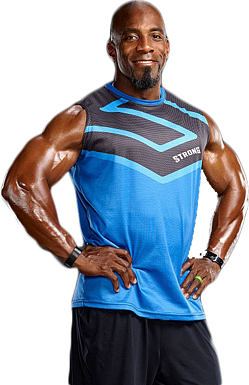 If you are looking for a way to switch up your upcoming workouts with something fresh and exciting, look no further than the training methods of Bennie Wylie. Wylie's training ranges from heavy ropes to steps, curls, medicine ball throws and beyond. Let's take a look at Wylie's background and explain the basics of his style of exercise. Wylie was raised in Mexia, Texas. He played just about every sport in middle school and high school. Wylie worked throughout school to provide his family with financial support and set the financial foundation to attend Sam Houston State University where he played football and ran track. Wylie also joined ROTC to boot. He graduated with a bachelor's degree in kinesiology. Wylie went on to work as the Dallas Cowboys' assistant strength and conditioning coach. He spent four years in Dallas until transitioning to the Head Strength and Conditioning Coach with Texas Tech. Wylie eventually opened his own training facility, The Performance Lab, in Abilene, Texas. This facility is used for athletic training of athletes and fitness enthusiasts of all levels. Wylie also works with Power Systems to develop new and innovative fitness equipment. The focus of Wylie's unique form of training is to burn body fat and amass strength. The ultimate goal is for each participant to realize their fitness potential. Each aspect of training is centered on a group of core athletic training principles. You don't have to be an NFL prospect to benefit from Wylie's workouts. All you need is the will to improve your body and boost your fitness level. Start out by warming up with some stretching. Once you are warm and loose, transition to heavy ropes. Put the end of a rope in each hand. Move the ropes up and down as quickly and forcefully as you can. Heavy ropes get the blood flowing and help sculpt muscles. Proceed to deadball slams. This exercise involves lifting a medicine ball up and over your head. Lift the ball as high as you can then slam it down onto the mat in front of you. Perform 10 to 20 reps.
Tranisiton to Wylie's circuit training. It consists of fairly simple exercises that anyone can perform. Begin with the medicine ball throw and chase. Throw the ball directly in front of you. Run after it as fast as you can. Reach all the way down low to the ground to pick it back up. Toss it forward again and repeat the exercise until you cross 20 yards. Turn around and repeat the exercise until you cross that same 20-yard stretch once again. Take a breather before transitioning to the Quick Step exercise. The Quick Step exercise is quite simple but it will certainly get your heart going. Place a step in front of you. Step up onto the step with your right foot. Quickly lower it back to the ground and step up with your left foot. Repeat the alternation of steps. Transition to the Step Up and Over exercise. The Step Up and Over exercise requires that you place your hands on the step. Bend over, face the ground, apply pressure to the step with your hands and swing your legs over to the right. Then swing your legs on over to the left. Continue alternating these left and right swings as fast as you can while keeping your hands pressed to the step. Wrap up the Circuit with the Medicine Ball Partner Chest Pass exercise. Face your partner while holding the medicine ball. Shuffle your feet to the side in unison with your partner. Pass the medicine ball to him or her while continuing to shuffle your feet. He or she will then pass the ball back to you. Continue passing the medicine ball to one another until you cross 20 yards. Then shuffle back in the opposite direction to cross the same 20-yard span while passing the medicine ball back and forth. This workout combines step aerobics with weights. Step onto a low or high deck step with one foot. Lift the opposing knee up in the air while performing a bicep curl. Lift the weights on up to your shoulders and then above your head to really feel the burn. Lower the weights while stepping back from the step and repeat with the opposite foot. Wylie's large group training programs occur across a three-week training cycle. The first week is centered on learning Wylie's training measures. The second week is focused on understanding the workout methods and learning how to properly execute them. The final week is owning it. This means the participant takes ownership of the training regimen and holds himself accountable for the results. Wylie's training program is kept the same across each of the three weeks so the participants can fully internalize the exercise sequences. This regimented approach also empowers participants to implement idiosyncratic improvements that allow them to master the nuances of the training program. Once the participant is ready to “own” the training, alterations can be implemented. As time progresses, the overarching focus of the training shifts to help participants become as lean and mean as possible. Ideally, this will occur before the summer swimsuit season begins. The winter and spring workouts are focused on power development. This occurs with uber-intense exercises at low volumes at specific metabolic training intervals. Resistance exercises generate fantastic results when combined with high intensity interval training cardio. When spring and summer roll around, the workouts replicate those of the sports competition phase. Intense movements and lifts are performed at a low volume. Cardio is also a component though in interval fashion. The exercise/rest interval timing is gradually moved from a ratio of 20 seconds of work to 60 seconds recovery to a new ratio of 45 seconds of exercise to 60 seconds of active recovery. Once fall and winter arrive, the focus is on strength training and muscle endurance. Weight training sets cycles on an interval of three weeks with five sets of high volume but low intensity to sets with a comparably moderate intensity and volume. Cardio is comprised of interval training and aerobic training in this three-week interval. The program extends across the entirety of the year yet its focus is never static. This alteration in focus is applied to the entire group's training as well as one-on-one sessions to prevent plateaus. Buy into Wylie's ethos of learn it, know it and own it and you will enjoy remarkable results. As the group becomes comfortable with the nuances of the workout, the coaching style will evolve from being instructional to inspirational. Toward the end of the program, the coaches will serve to challenge the group to achieve their physical fitness potential. Group members often challenge one another to “go hard” and give their all. There is a powerful feeling of camaraderie and teamwork amongst those who participate in this rewarding style of large group training.